Today’s Cambridge Rambling Clubs “A” team walk should have been led by Larry unfortunately he was indisposed so Jill took over at the last minute, hence the couple of blips on the GPS trail! The walk was designed as a figure of eight with Ickworth Hall in the centre, acting as a rendezvous point for the start and lunch. In the morning we were blessed with sunshine and a cold wind the afternoon turned into a battle across a ploughed field in a squall! 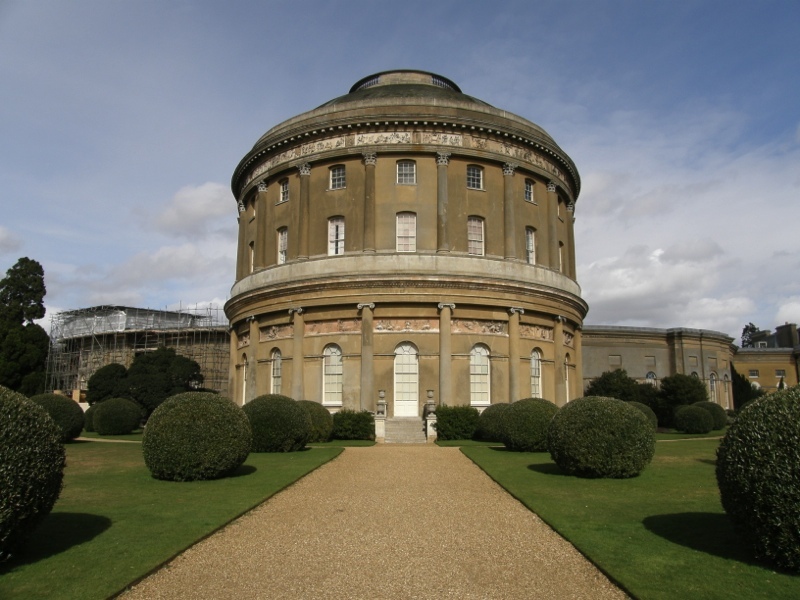 Here is the walk and trail with (even though I say so myself) a fine shot of Ickworth Hall! A Happy New Year to all my readers 🙂 Good to see that you are a person of excellent taste and recognise a real quality blog! After spending the first 12 hours of the new year in bed with Sally we decided a walk was in order. Neither of us could face the annual new year swim in the river. So we decided to walk the opposite way and go to Baits Bite Lock via Chesterton and then return via Fen Ditton. 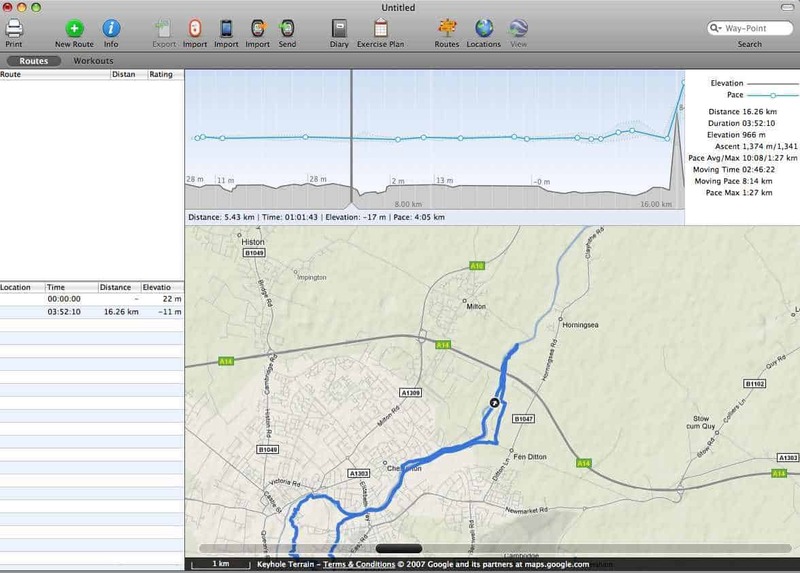 After my post bemoaning the fact that the only way I had of importing trails from the Garmin Legend HCx on the iMac was through using Parallels and the Garmin software (PC only!). Euan pointed me in the direction of Ascent for the iMac which can take in data from the Garmin and is Mac based software. Works beautifully and very fast! However, for some weird reason Everytrail wouldn’t display the track, even though it was visible in Google Earth. Great news from Chris at Everytrail is that he has found and fixed the bug (VRM in action) so now Ascent will display the trail in Everytrail with the photos, geotagged by Houdah, and downloaded from Flickr. 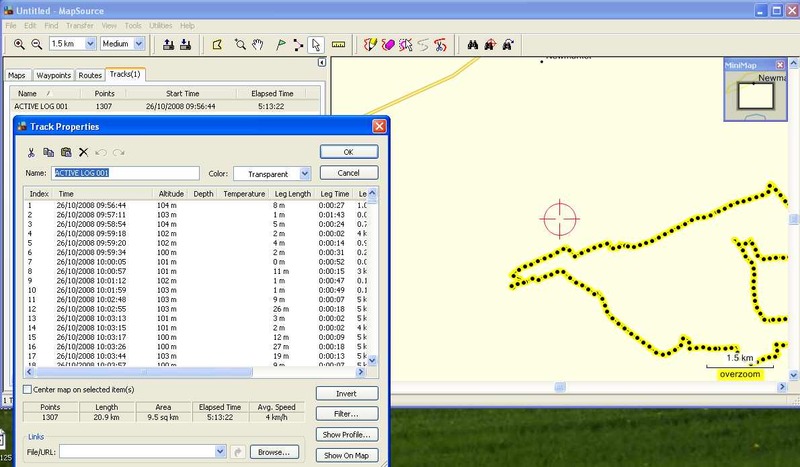 with the Garmin Mapsource software (6.14.1). The software allows you to edit the track and shows the track as a crude map to make the editing easier.I then export the file as a gpx file to the HoudahGeo software on the iMac where I can import any pictures previous captured from the camera using iPhoto. Before setting out I have carefully set the camera date and time to the GPS! HoudahGeo can then embed geotags into the photos and export them to Flickr. I can then upload the gpx file to Evertrail and import the geotagged images from Flickr to give the trail shown above. A bit tedious but it does incorporate three of my interests, Internet, walking & photography. Today was also my second anniversary of meeting Sally on one of her walks so I guess that four interests!!! Interestingly HoudahGeo also allows direct export to google earth so maybe Evertrail and wikiloc will get crushed under the google juggernaut.